I worked from home today so I cooked for myself and tracked everything I ate and drank. 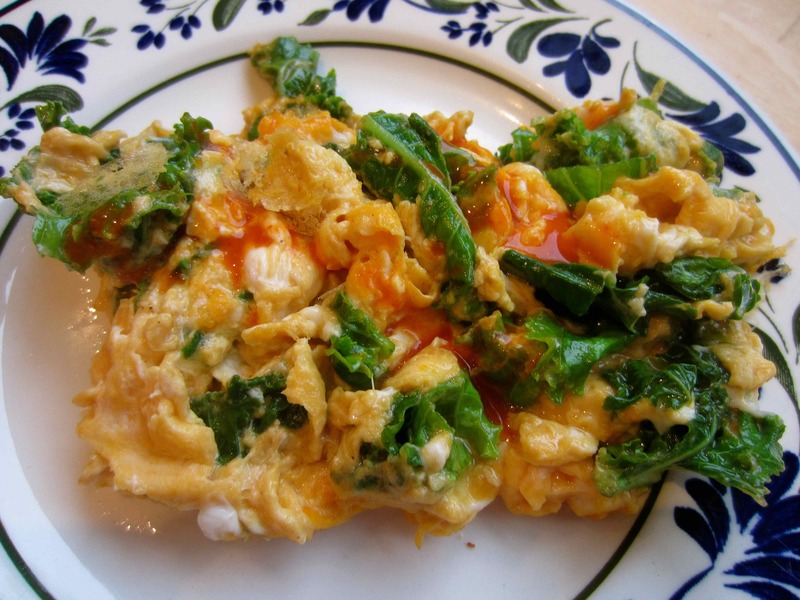 Breakfast was 2 eggs cooked with kale and served with Cholula hot pepper sauce. 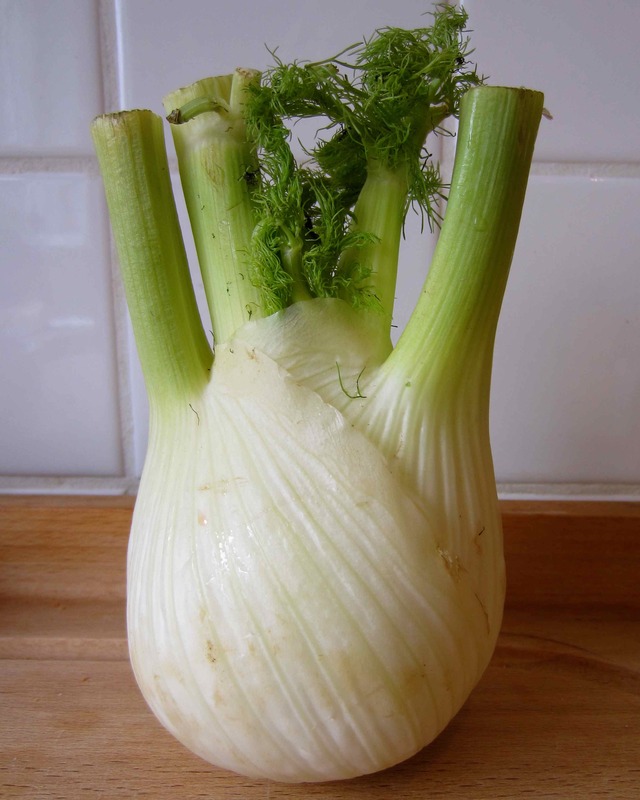 This is a vegetable I haven’t eaten for a while. 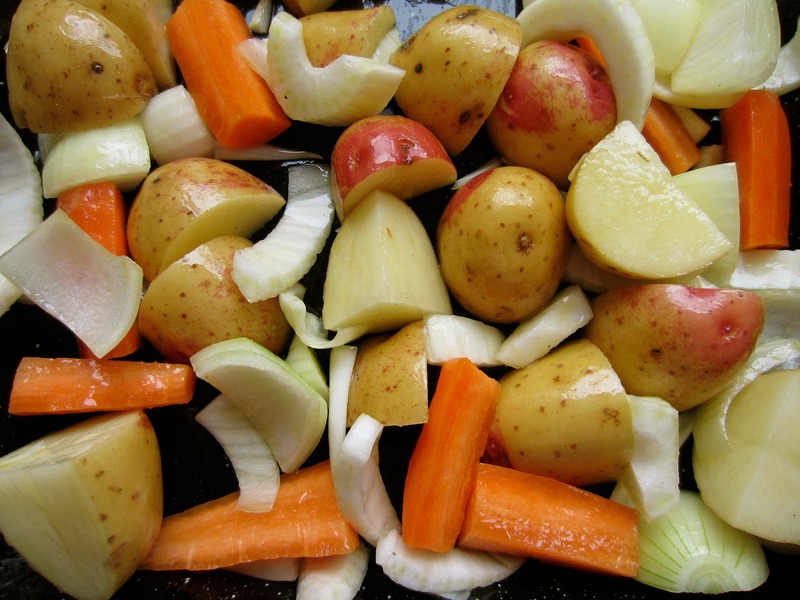 I chopped up potatoes, fennel and carrots and roasted them in 1 tbsp olive oil for half an hour. I added 2 peppers and roasted for another 30 minutes with the Bratwurst. 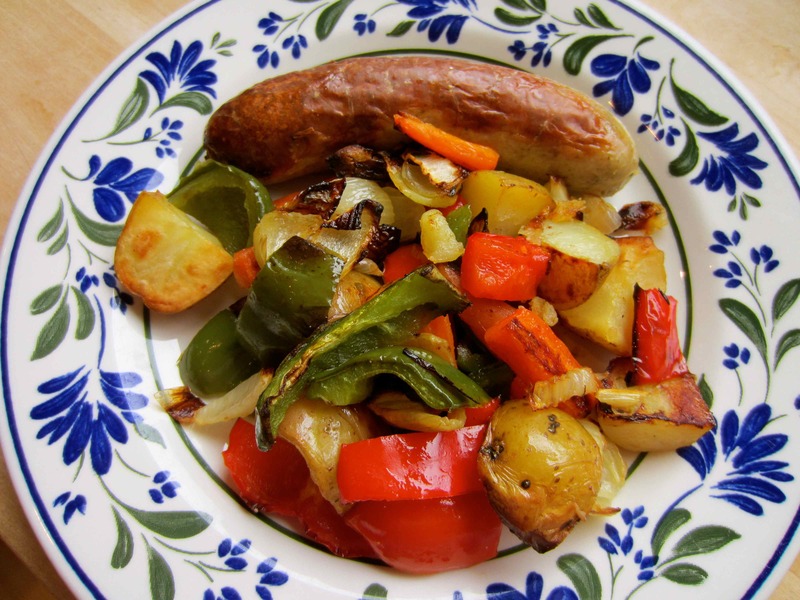 One Bratwurst with roasted veggies. A surprisingly high 615 calories mainly because of the bratwurst (300) and the potatoes (237). Tasty though. Which I served with a mountain of broccoli. So today was an excellent eating day. 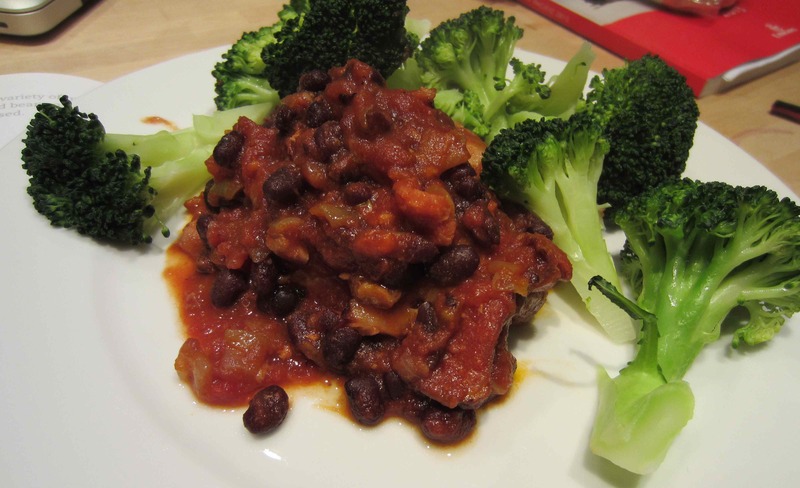 I stuck to my calories, ate vegetables with every meal and had very low sugar. Another day done. 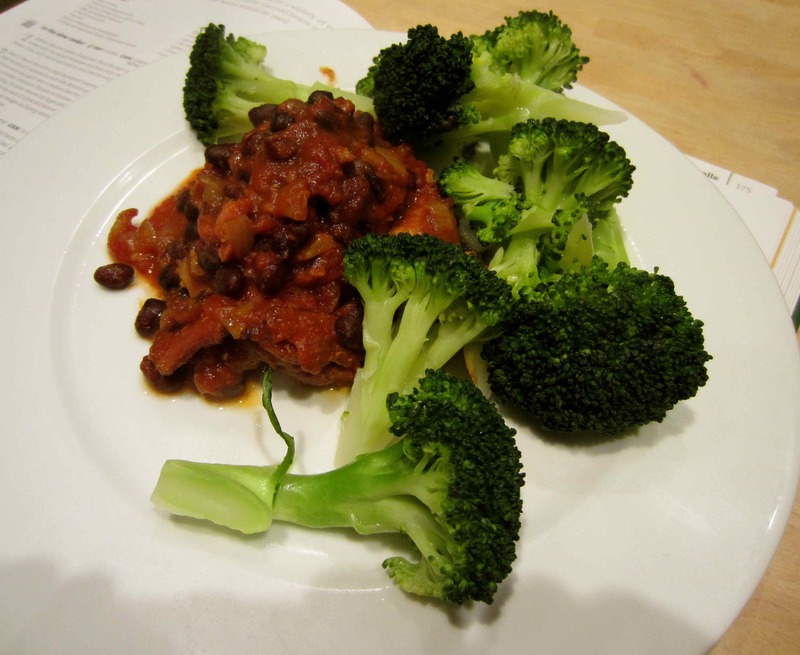 This entry was posted in Uncategorized and tagged Black Bean, Broccoli, Pork. Bookmark the permalink.